Beverly, MA Dunham Ridge, one of the North Shore’s newest business campus, is preparing for a homecoming. Harmonic Drive LLC, which launched in town 60 years ago before moving to Peabody, has purchased five acres at the technology center owned by Cummings Properties for $6.087 million. Site work has already begun for a fully permitted 100,000 s/f high-tech manufacturing facility. 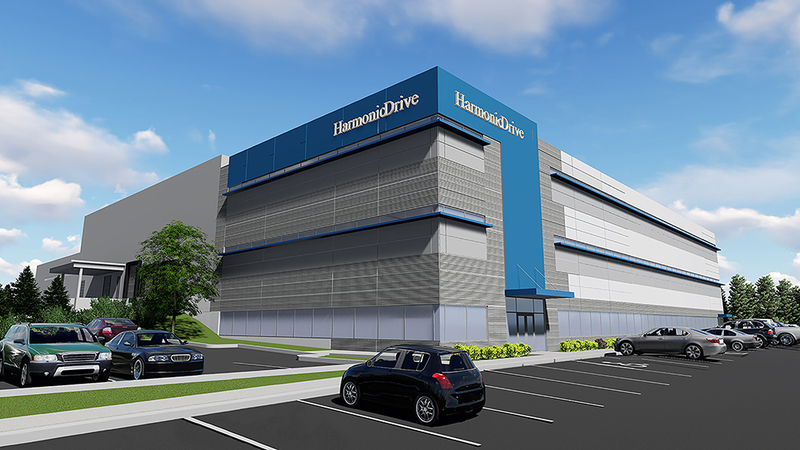 Harmonic Drive has outgrown the two buildings it currently occupies in Peabody. The move to Dunham Ridge will allow it to consolidate its functions into one building and expand its footprint to accommodate growth. The firm plans to add 60 full-time employees to its current staff of 142 within the next couple of years. Harmonic Drive is aiming to have the building’s shell weathertight by the end of this year so construction crews can work on the interior buildout during the winter. Connolly Brothers is serving as general contractor for the project, which is slated for completion in summer 2019. Dunham Ridge is currently anchored by medi-tech firm Microline Surgical, which leases 67,000 s/f at 50 Dunham Ridge, the 54-acre site’s original building. Other tech clients at the campus include drug safety firm spmd and GreenBananaSEO. Originally a division of United Shoe Machinery Corp., Harmonic Drive designs and manufactures motion control products, including precision servo actuators, gearheads, and gear component sets. Its technology is used primarily in robotics and semiconductor manufacturing, but has also been used on the International Space Station, Mars Explorer Rovers, and even the Lunar Rover that was driven on the moon in 1971. Cummings Properties is currently constructing two additional mixed-use buildings of about 150,000 s/f each at Dunham Ridge and is offering two more land parcels for sale there.